KismetConnect | Oshwal Association of the U.K.
NO tickets will be available at the door. If you come without a pre-registered ticket you will be refused entry. To be added to waiting list, please contact Ashish on 07708 753 510,Thank you. 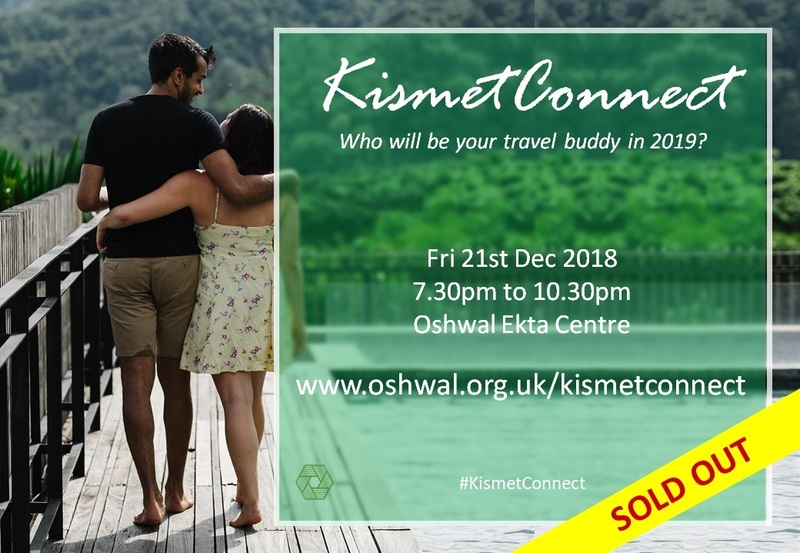 The KismetConnect team is pleased to announce a new and exciting social evening for singles at Oshwal Ekta Centre!! With a group of fun, open-minded, creative and opinionated singles, you will get the opportunity to make connections that could lead to a wonderful and happy life together. We promise this will not be the same old boring speed dating format! We have an exciting evening lined up so why not register today!